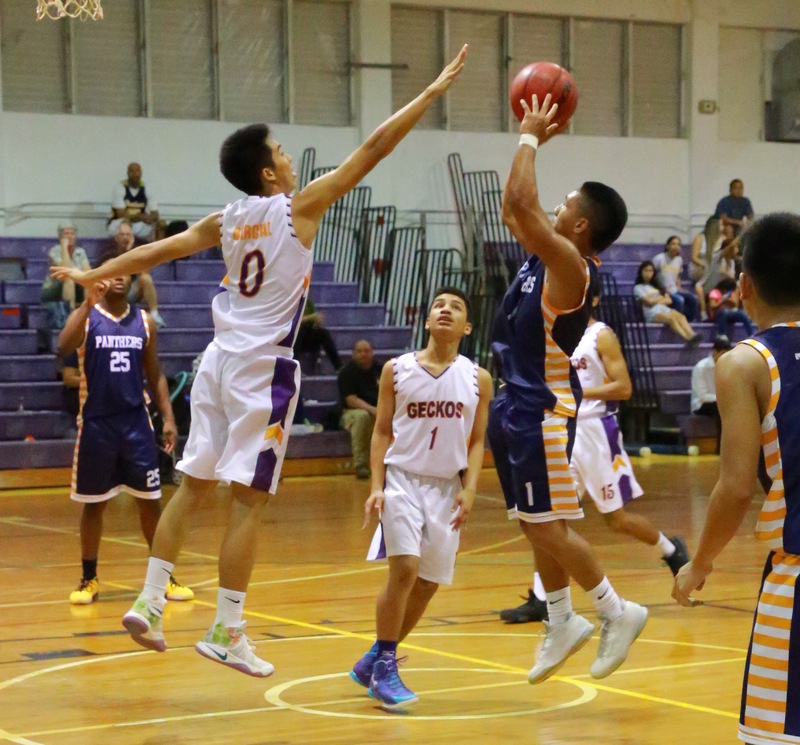 Guam High Panthers do it again, with another win Tuesday night at the George Washington Geckos home court, the score was 71-52. Leading the Panthers, Jujan King scores a total of 46 points during the game. Starting the game off with a three pointer by King, the Geckos were hit with a realization. Just minutes into the game, Juan King grabbed a rebound and made his way alone down the court to complete a layup. By the end of the first quarter the score was close, but the Panthers were still in the lead, 16-11. Juan King scored all but one foul shot by Robert Kranz in the first quarter. Shortly into the second quarter, Panthers gave up a few points to fouls. Dylan Trusso, Frabric Romos, and Nick Rifel each take a few shots, helping their team stay in the game. Finishing the quarter up 35-19, the Panthers bagan to look unbeatable. Throughout the game, the Geckos gave up multiple shots due to fouls, but the Panthers found other ways of scoring points. From Khalid Velious’ great defence, to DiJahni Williams offence, the Panthers became almost untouchable, but the Geckos weren’t ready to give up. In the third quarter, after three foul shots on the Panthers, the Geckos find a way to keep playing. Jarred Sarosa scores 4 points before Dylan Trusso goes for a three pointer and makes it in, giving their team a bit more hope. Starting the final quarter 35-44, the Panthers were still in the lead. Frabric Romos scores a few points for the Geckos, before the spot light is turned, once again to the Panthers, specifically; Juan King, Robert Kranz and Akira Martines. Holding up the team, these three continue their tough defence and strong offense to secure their win, finishing 71-52. “It’s a good feeling (scoring 46 points), but it’s not about me, it’s about my team… I’m happy I contributed… We still have a long way to go and we have to stay focused,” said Juan King.